We are located in the residential area of the quarter. 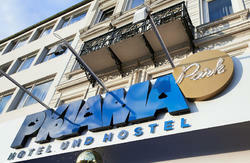 Don't worry it is very close to Reeperbahn and Schanzenviertel where you find good restaurants, bars, clubs and venues. The area round the townhall/ lake Alster you'll reach easily with the Metrobus within 20 minutes. Bedlinen is not included and we charge 2.50EUR for a set. If you are staying 3 nights or more, bedlinen is included Own bedlinen, sleeping without our bedlinen or sleepingbags are not allowed. Experienced Travellers know why. If you want breakfast, you have 2 options: You can buy breakfast at the hotelbar or you help yourself in our lounge/common room in the basement. There you find also the TV, a fridge and our small cooking facility. You'll find laundry math and grocerystore after a short walk of 5 minutes. WIFI is free of charge, if you don't have a laptop or netbook, feel free to use our computer at the bar. Come to St. Pauli and get in touch with alternative life style. 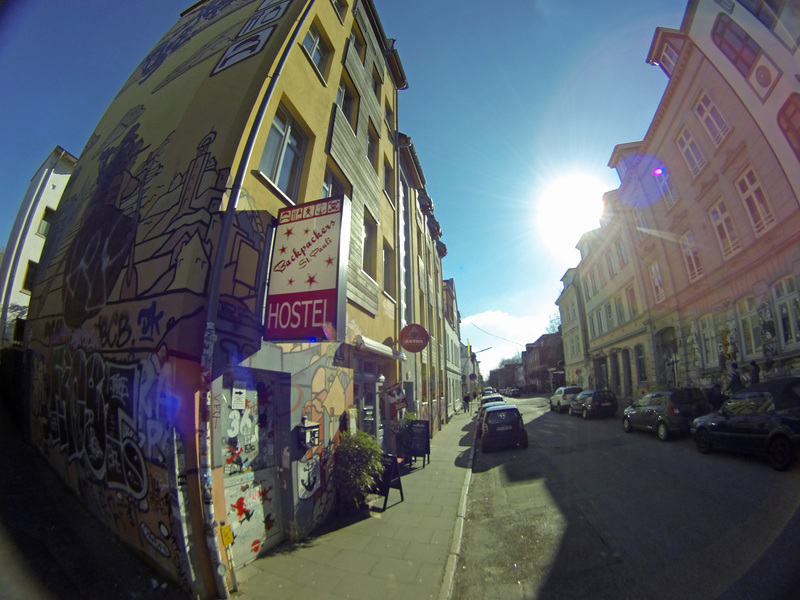 Stay at Backpackers St. Pauli and enjoy individual and familiar atmosphere. 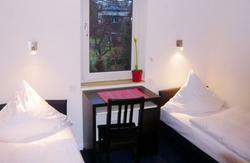 Backpackers St. Pauli - make yourself at home. -if you don't arrive in time you mentioned in your reservation, we have to cancel the beds at least after one hour. so please call us when you have a delay. - please pay cash at arrival, we do not accept credit cards. Walk to Moenckebergstrasse (take exit 'Spitalerstrasse / Moenckebergstrasse) and get on the Bus No. 3 towards 'Trabrennbahn Bahrenfeld' or 'Schenefelder Platz'. The 9th stop is 'Bernstorffstrasse'. Change side of the road (pharmacie on the corner) and walk down Bernstorffstrasse. S1 in direction 'Wedel' till 'Reeperbahn' Exit 'Nobistor', take the right stairway and turn right into 'Holstenstrasse'. After 30m cross traffic 'Holstenstrasse/Simon-von-Utrecht-Strasse' Follow 'Kleine Freiheit' which continues as 'Bernstorffstrasse'.